Since 1959, Mapro International has produced and exported air and industrial gas machines worldwide. 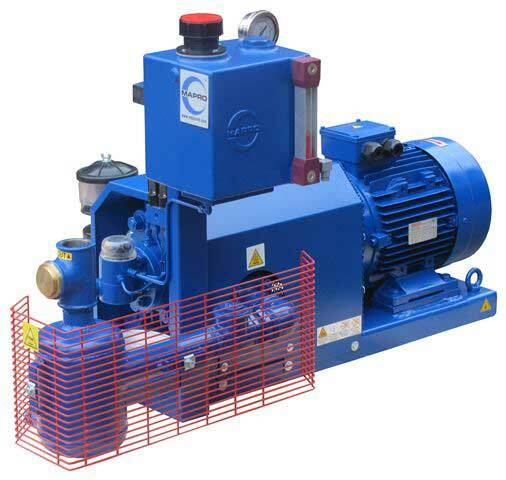 Mapro was born as a commission-builder of compressors and sliding vane rotary pumps. 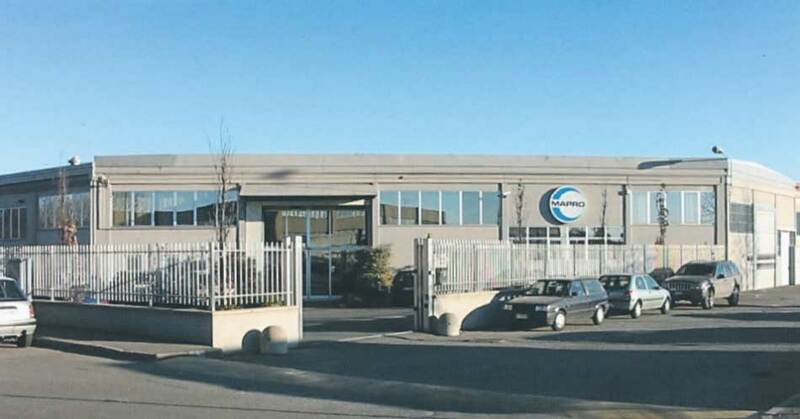 Close attention to product study and the various applications, as well as to a wide variety of customer needs, have led to an increase in the range of products Mapro manufactures and sells. 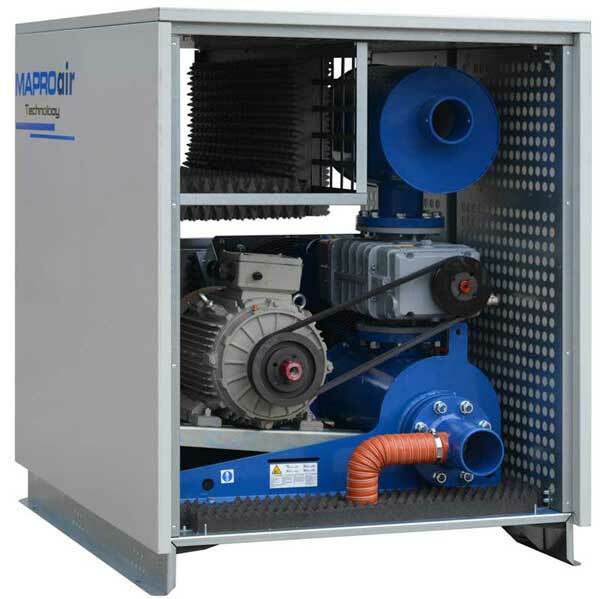 As a result Mapro has moved into the making of side channel blowers and exhausters, multistage centrifugal blowers and exhausters, Turbotron ® blowers and exhausters, and sales of positive displacement rotary blowers and exhausters, and also linear diaphragm blowers. This vast range of machines has been completed with a multitude of both standard accessories and also made-to-measure accessories in order to meet the customer’s special requirements. Over the years, Mapro has always been intent on updating the technical knowhow of its staff, and in maintaining that flexibility which has given the company its international acclaim. Efficiency, effectiveness, value for money, and product duration are for us the pre-requisites for daily business. The long list of references covering all industrial applications and most of the useable industrial gases, confirms how much Mapro has invested over the years, not in lateral growth, but in attention to the quality of the product it supplies. Respect for its employees, suppliers and customers, together with a commitment to upholding the norms of working practices, of safety in the workplace, of protecting the environment, are fundamental aspects in the corporate culture of Mapro. The management and all the staff strongly believe in work ethics and in respecting people. The management wishes to thank all its business partners, staff, suppliers, and customers who have made Mapro possible. Why did we decide to implement Norm ISO 9001:2008? In order to have a Management System on all internal processes - a system which enables us to give customer-satisfaction in a way that is efficient and effective. 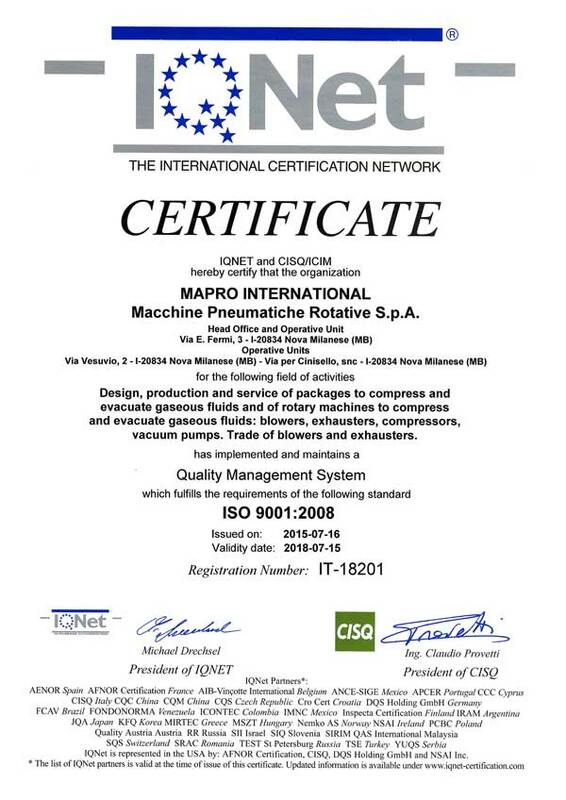 It is certification of our commitment to continuous improvement and not an end in itself.